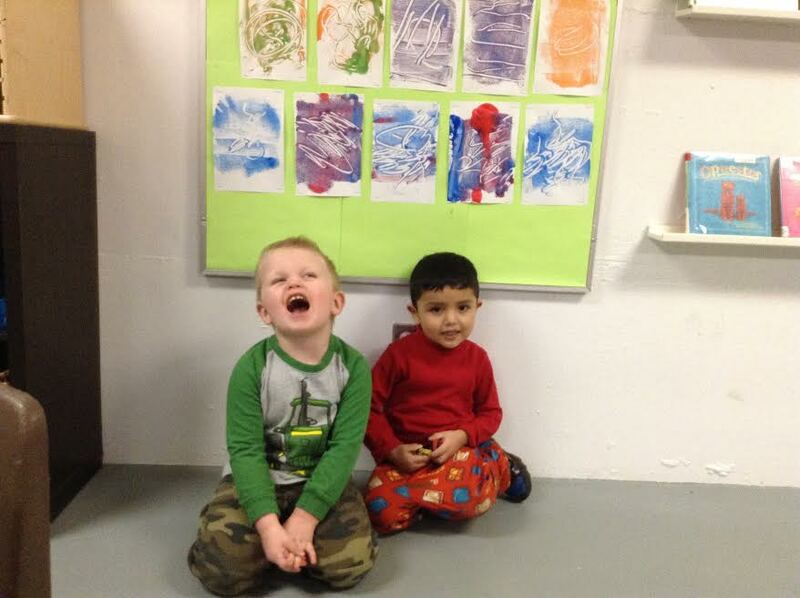 During the preschool years children make incredible advances in their ability to create a self or family-portrait. 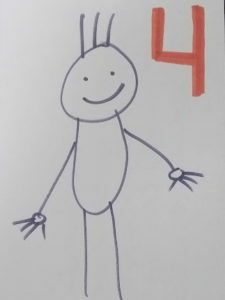 Awareness of self and others, as well as more skillful fine motor development allow children to progress from a controlled scribble to a figure with a head and limbs with details being added as their ideas develop. 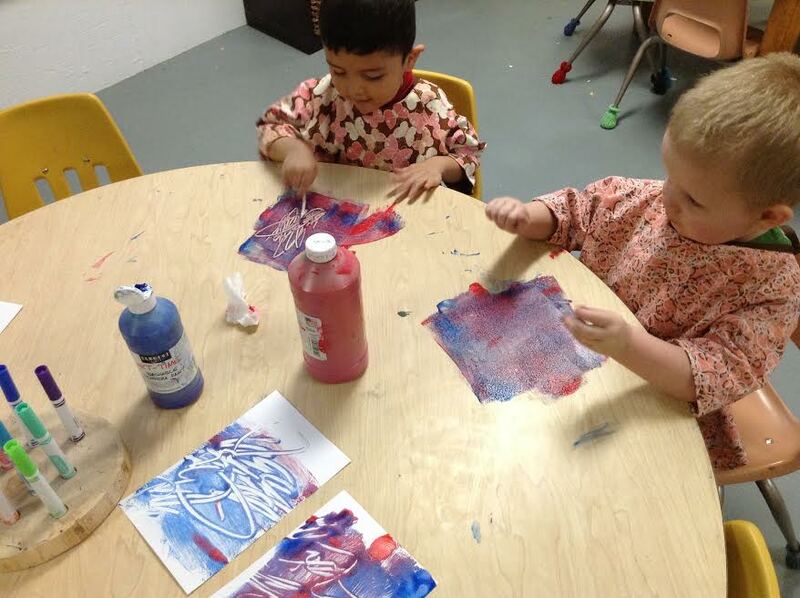 The following are stages of artistic development to look for in your child’s art work. 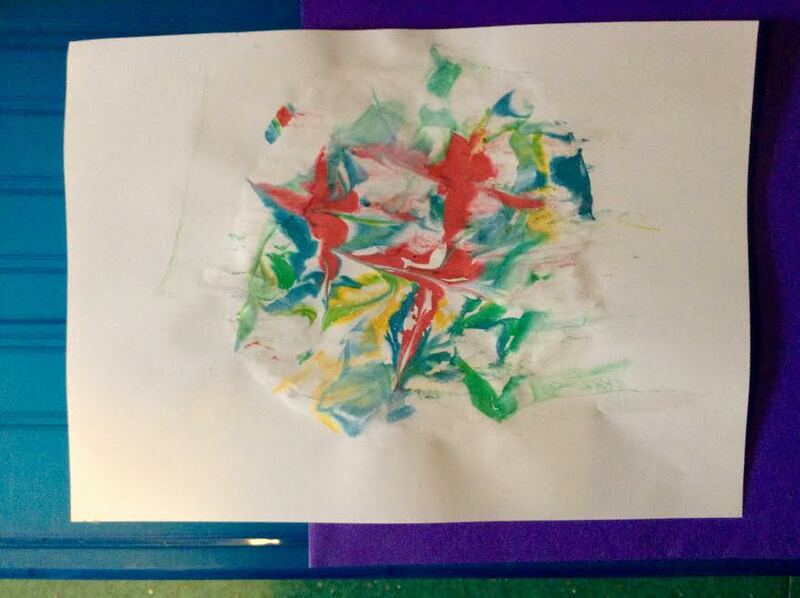 We do portraits such as these multiple times per year to see how children’s perceptions and abilities change! 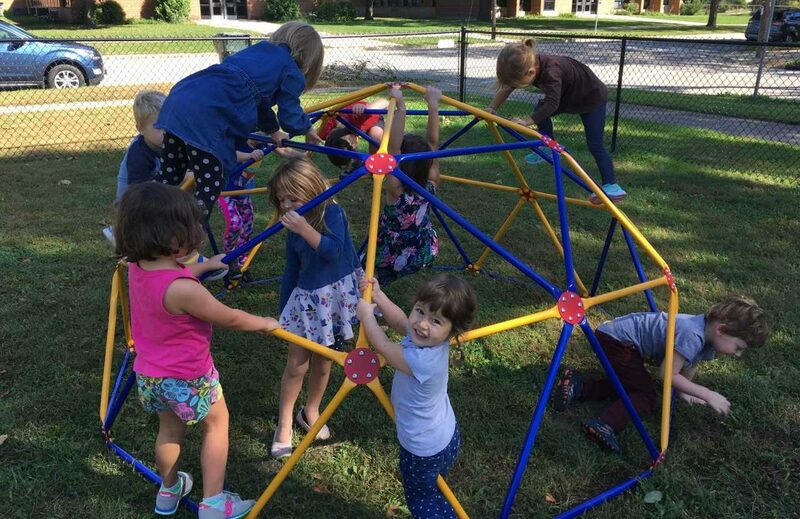 Thursday on News 3 at 10, Charlotte Deleste shares how a former Spanish teacher is using her skills to “Do Something Good.” Join us on WISC-TV3. 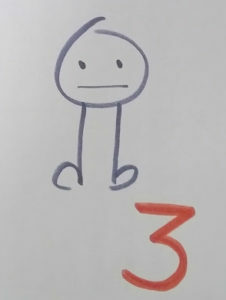 Jueves en News 3 a 10, Charlotte Deleste comparte cómo un ex profesor de español está usando sus habilidades para “Hacer Algo Bueno”. Únase a nosotros en el WISC-TV3. Save the Date!/¡Marquen la fecha! 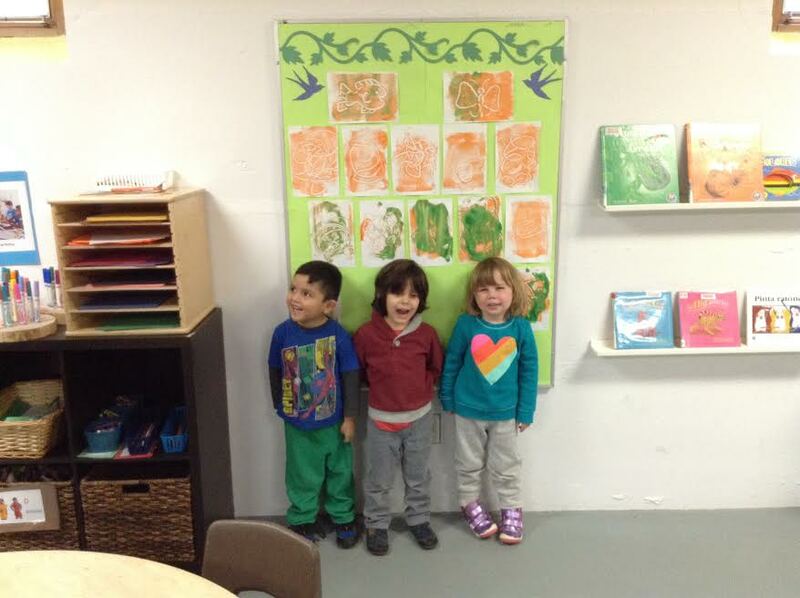 Visit El Jardín Infantil for a fun afternoon of fashion and play to support programing at El Jardín Infantil. We will be hosting a multi-consultant LuLaRoe sale. 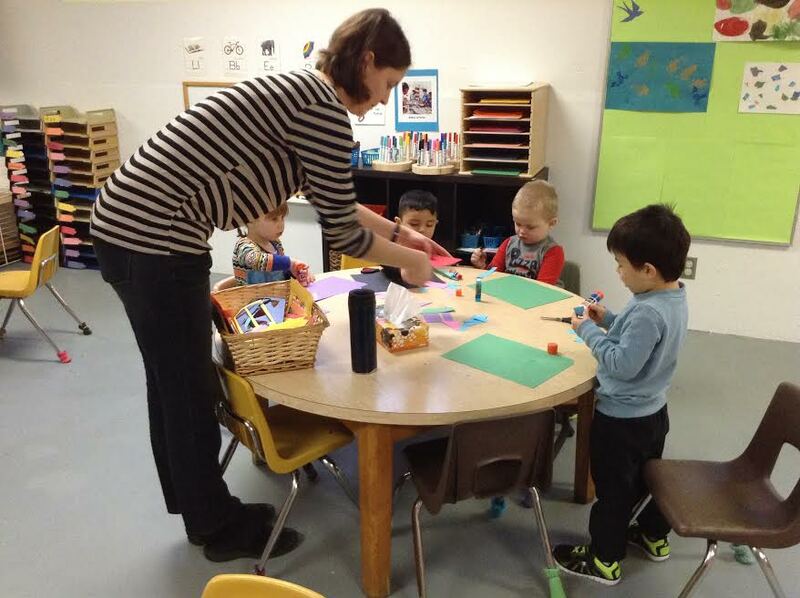 This fundraiser will help us put in beautiful wood laminate floors for the children to enjoy playing on. Can you imagine our space with updated flooring? We can! We’ve been dreaming of it all along! 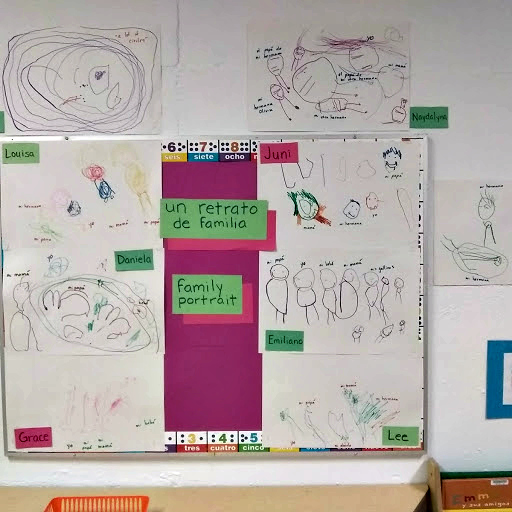 Visiten El Jardín Infantil para una tarde divertida de ropa de moda y diversión para apoyar a nuestro programa El Jardín Infantil. Presentamos una venta de más que un consultor de LuLaRoe. Esta recaudacción de fondos nos ayudará a instalar un nuevo soldado de madera laminada para que los niños pueden gozar de jugar por encima. ¿Se puede imaginar nuestro espacio con el soldado modernizado? ¡Nosotras podemos! ¡Hemos estado soñando de esto todo el tiempo! 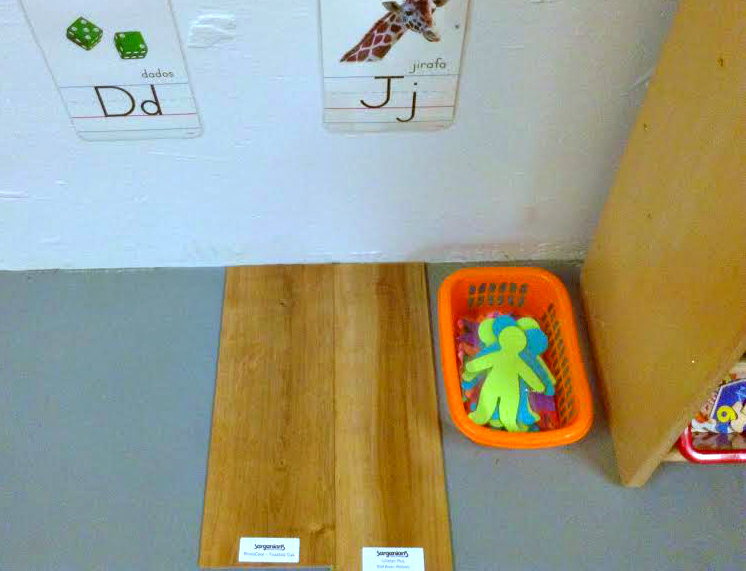 Here is another simple but exciting art experience for preschoolers that uses every day materials that most people have at home. 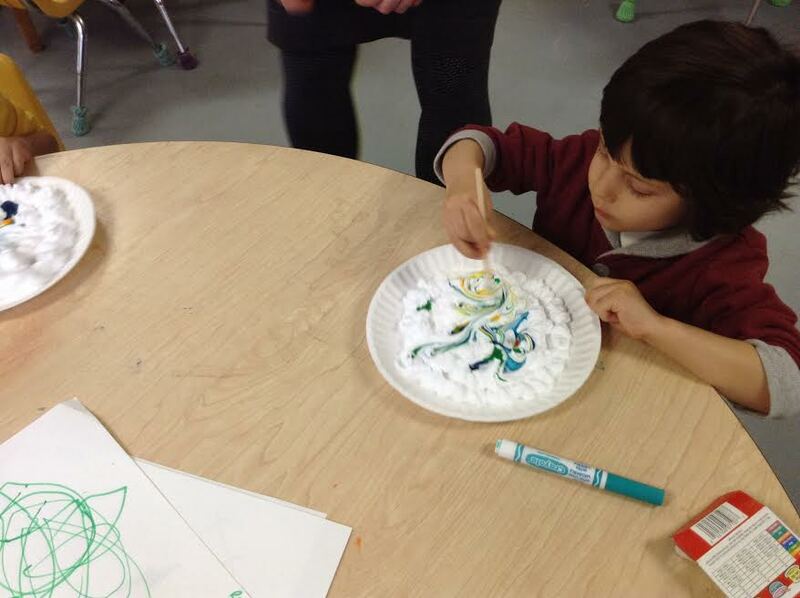 You need: paper plates, shaving cream, food coloring, a craft stick (or use a spoon! 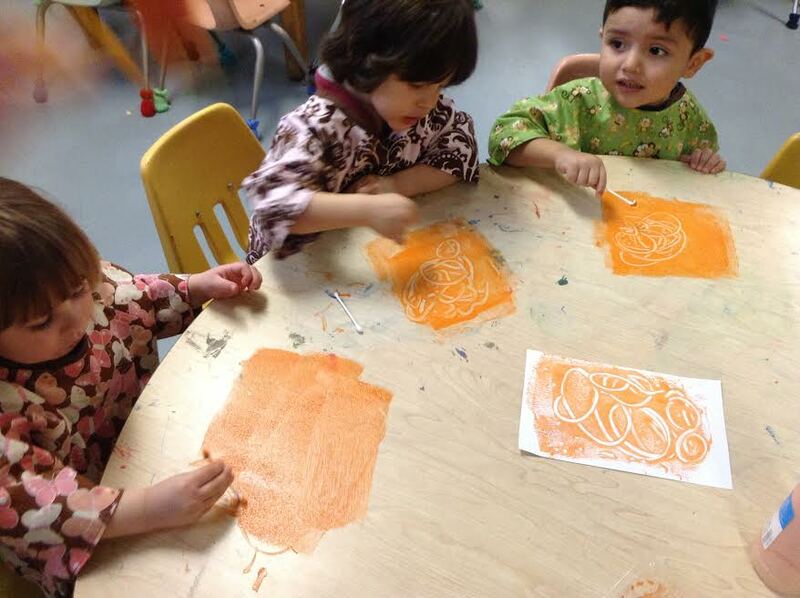 ), and paper for marbling. 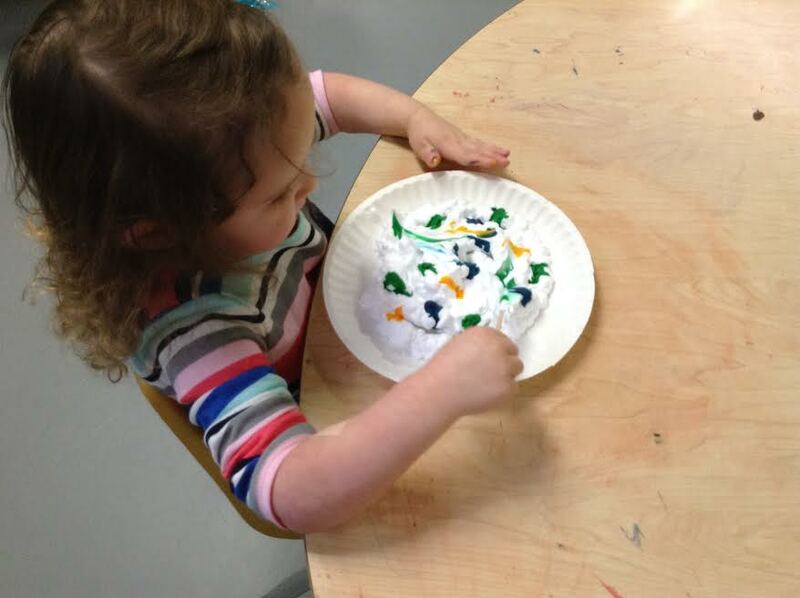 First spray a good layer of shaving cream on your paper plate and then add some drops of color. Use your stick to swirl the colors through the saving cream. 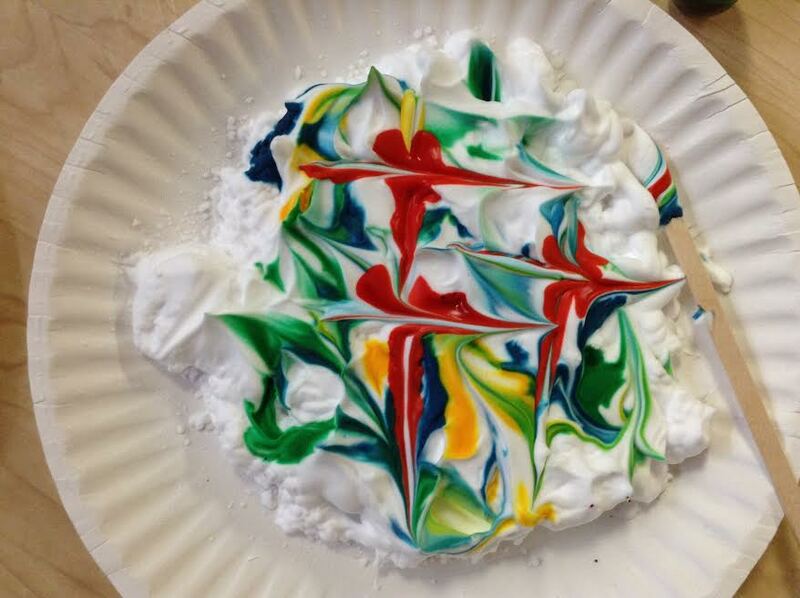 When you like how it looks lay your paper over the top and press it into the shaving cream. 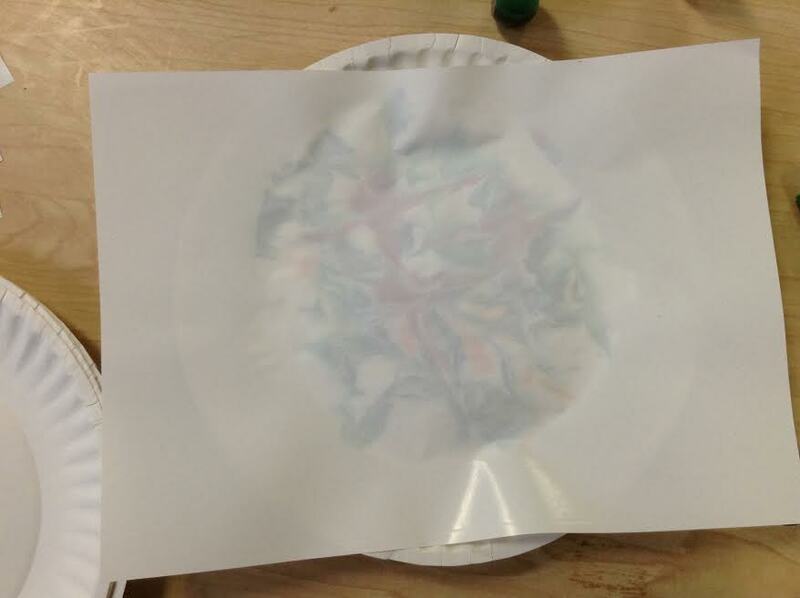 Pull the paper off carefully and you will see your marbling is transferred to the paper. 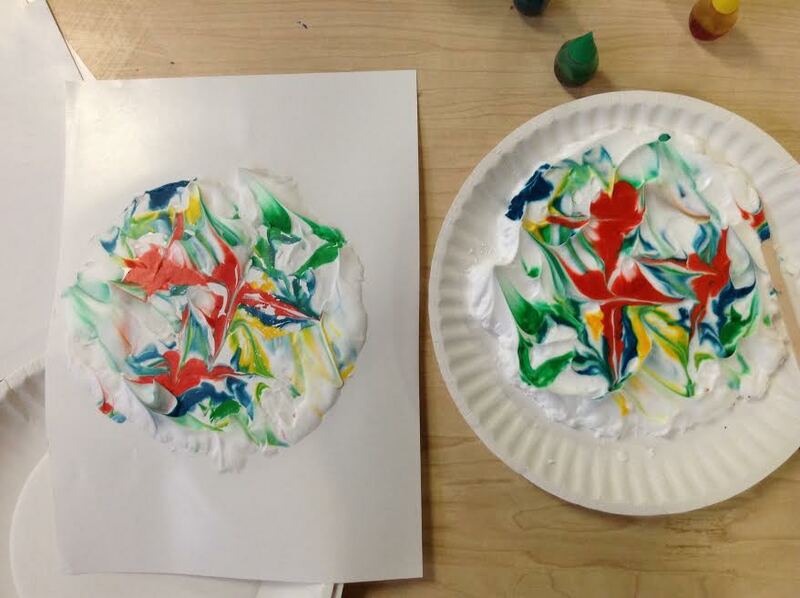 Use a straight edge, half a paper plate will work, to scrape the shaving cream off the finished print and let it dry. 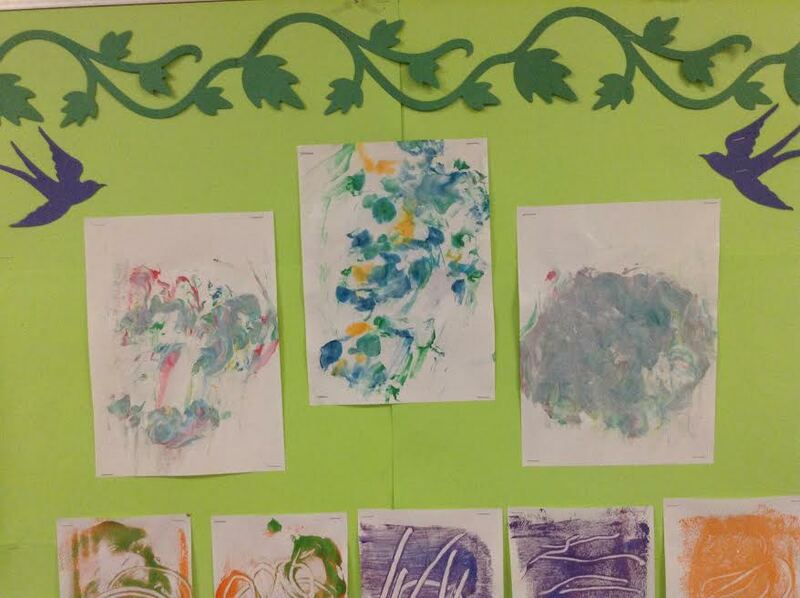 Here are some of our young artists hard at work and a few few of their creations on display. Congratulations to Maestra Michelle!/¡Felicitaciones a la Maestra Michelle! El Jardín Infantil’s lead teacher, Michelle Smith, was nominated for Genius Plaza’s Top 5 Bilingual Educators Award. Now we need the votes to win. Please follow this link and vote for Michelle! 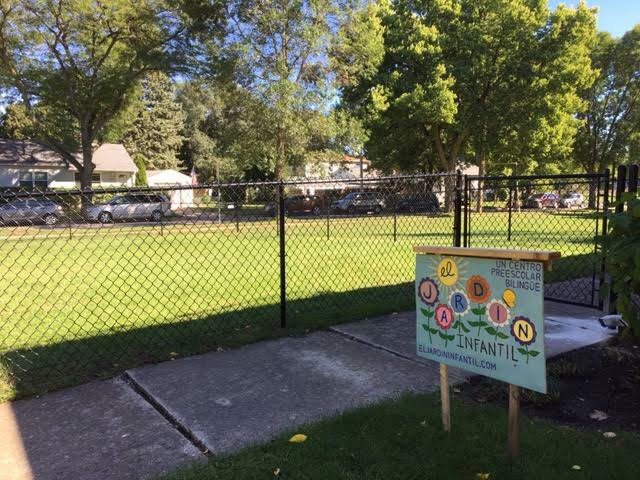 Nominaron a nuestra maestra principal Michelle Smith de El Jardín Infantil para este premio. 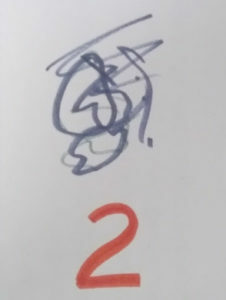 Lo que necesitamos ahora son los votos suyos para ella. ¡Favor de seguir este link para votar para ella! ¡No se pierdan la fiesta gratuita! Habrá mucho que hacer para toda la familia. 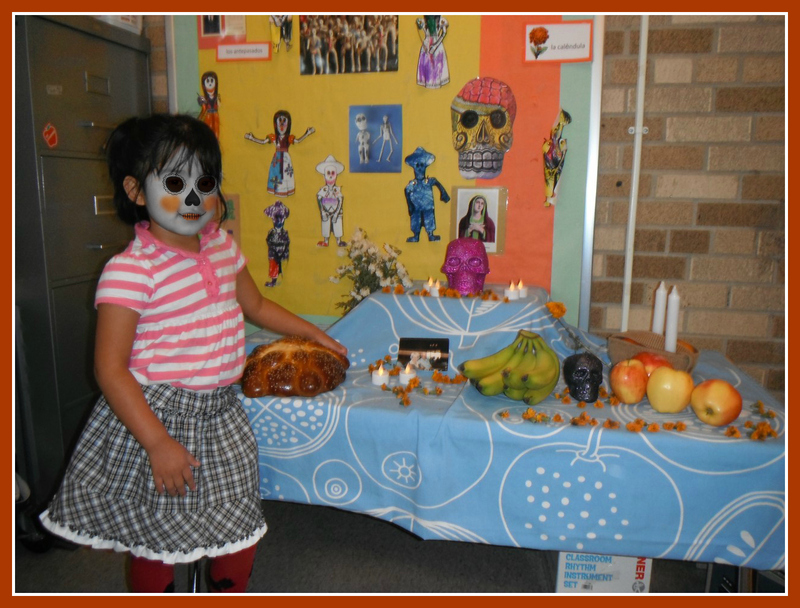 Una celebración del Día de los Muertos con actividades para niños, comida y bebidas, y una invitación para visitar nuestro nuevo centro pre-escolar. Un corte de listón por la Camára de Comercio Latino para celebrar nuestra inauguración. 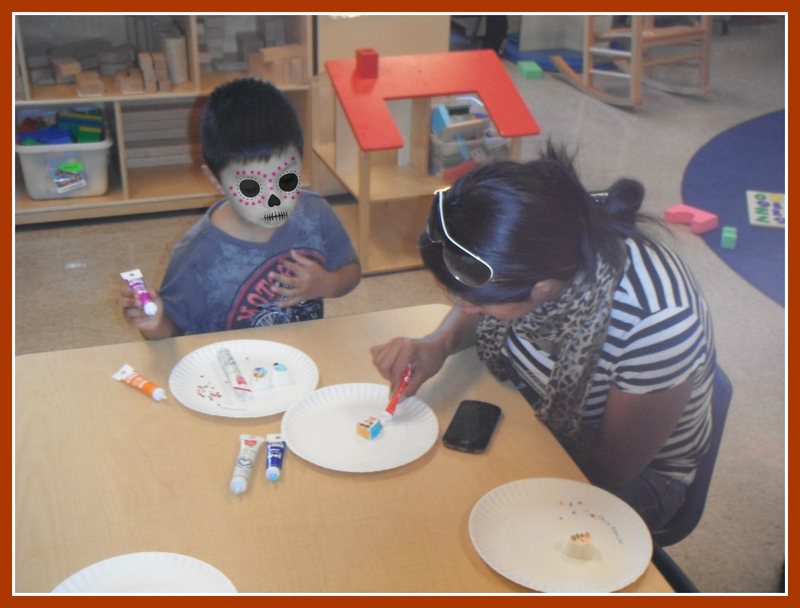 A Day of the Dead themed celebration with activities for kids, food and drink, and an invitation to tour our new preschool. Ribbon cutting by the Latino Chamber of Commerce to celebrate our Grand Opening. Debido a las lluvias, no tendremos horas de visita esta tarde. Favor de contactarnos para hacer una cita para otro día. ¡Gracias! Due to the rains, we won’t have visiting hours this afternoon. Please contact us to make an appointment for another day. Thank you!